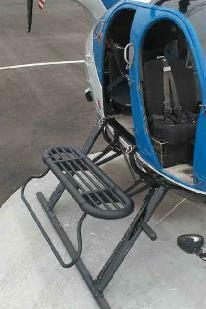 Special Operations Platform on the MD 500 Series Helicopters. 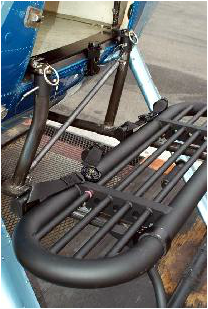 The Tyler Special Operations Platform is designed to mount to the helicopter's aft cabin area and fuselage jack points with special clamps & brackets. The installation is user-friendly and requires no modification to the airframe. Once the initial setup is complete, it takes less than 5 minutes to install the cargo platforms (no tools required). The TSOP is designed with attachment points to secure personnel wearing rappelling type harnesses, but some agencies are employing self-retracting twist-release seatbelts. These seat belts are specially designed to work on the TSOP.